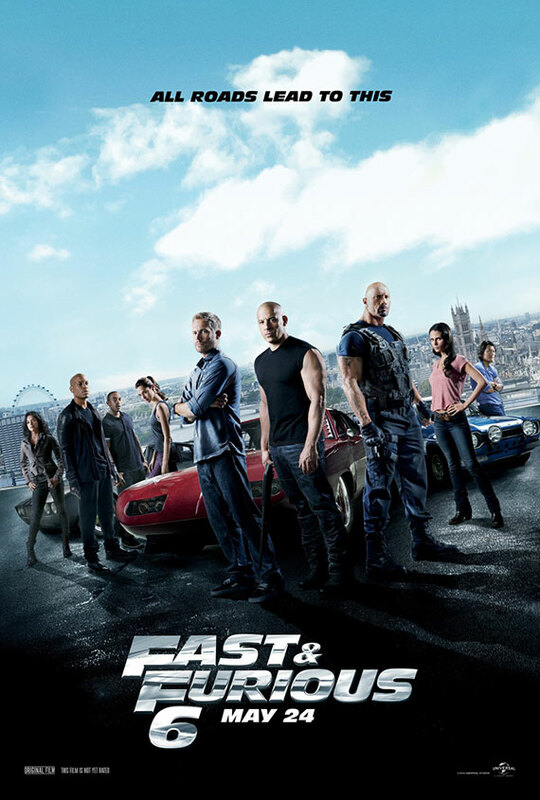 Fast and Furious 6 had a monster weekend in terms of box-office but more importantly fans and critics lauded the film for its high-octane humor and its well-directed action sequences. 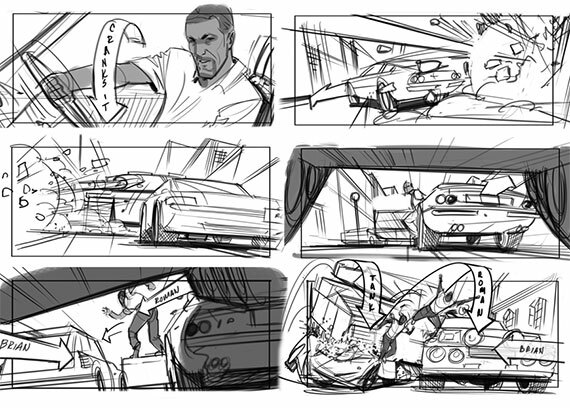 Director Justin Lin's efforts paid off in a big way and his storyboard artist, Anthony Liberatore, played a crucial role in helping Lin visualize the crucial action sequences and sight gags. Recently, Storyboards Inc. interviewed Liberatore on his work with Lin and included storyboards from the infamous tank scene. In the interview, Anthony talks about what it takes to be a storyboard artist, his work methods and process, the importance of developing a shorthand rapport between the storyboard artist and the director. Below are excerpts of the interview discussing the visualization of the movie, some of Lin's storyboards and the related video of the chase sequence to compare and contrast. 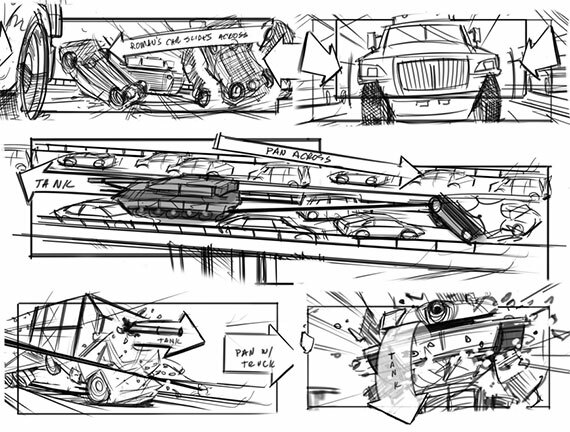 I have added my own comments to the action sequence under the storyboard. Compare these scenes to the filmed scenes in 2:44 - 3:50 of the video above. Note that between the initial conception of the scene and the final edited version there were many things added to this scene. Key point is that the visualization of a scene doesn't end with storyboards, it only begins with one. These look like some of the scenes from 4:15-4:45. Notice the part where Brian avoids a car looks like the part where Roman dodged a car in between 2:35-2:42. Another Keypoint is storyboards allow you to come up with concepts that you can later mix and match once after considering the practicality and aesthetics of them. Give us an idea of what your process was like and working with Director Justin Lin? Justin would give us the broad strokes by describing the overview of a particular scene. As important as the action was, Justin was also very adamant in telling the story of the environment in which these characters populated. He would, at times, call out specific shots he wanted to see. I had the opportunity to fill in the blanks, story-wise, and come up with dynamic angles. The boards then would go to Justin for final approval. I can say that there were many revisions as locations were constantly changing. How does working on F&F 6 compare with Fast 5? Fast 6 was a much more ambitious undertaking than Fast 5. With 5 I was brought on in the middle of the pre-production and was just getting to learn the ropes with Justin. For Fast 6 I was involved very early on, so I had the opportunity to help actually conceptualize some of the gags with Justin. Are you given a full scene to draw at once, or just different sequences? Is the entire film boarded out or just certain parts of the film? 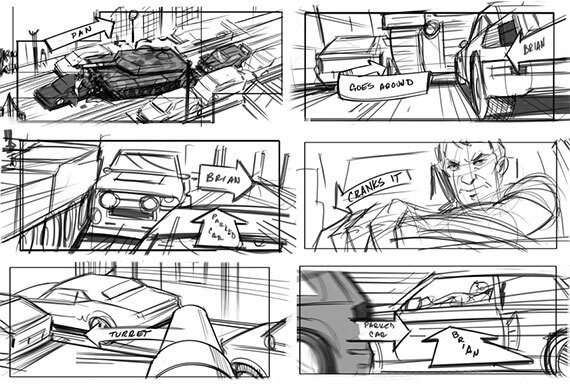 I was given pretty large scenes to flesh out that consisted upwards to a thousand frames such as the Tank and Plane Scene in Fast 6 or the Vault Heist Scene in Fast 5. I also boarded sequences containing no more than maybe four to five frames. Mostly only complicated action scenes were boarded which is good portion of these movies. What kind of preparation is needed to board a film like this? Other than bringing on your “A” game, you have to really be in the mindset of what that story is trying to accomplish. I’ll watch a lot of action films with great car sequences to get me there mentally. You can never watch enough Mad Max to get you into the mindset!